Kate grew up in a rural community in Southern New South Wales before moving to Coffs Harbour as a teenager. There she met & married her Husband Michael in 1981. Kate & Michael moved to Canberra as a young married couple in late 1981 & spent the next 8 years enjoying all our Nation's Capital had to offer. During this time Kate was essentially a stay at home mum as her family rapidly grew with the arrival of her 3 daughters & 1 son. Never staying idle for too long Kate immersed herself in home party sales, Child Care & a dressmaking business, all from home, as she cared for her young family. In 1989, Kate was on the move again, this time to Hervey Bay for 18 months before settling in Caloundra in late 1990. Kate & Michael are passionate about property and enjoy the process of building, having bought homes to live in as well as investing & have built 6 new homes since entering the Real Estate market in 1981. 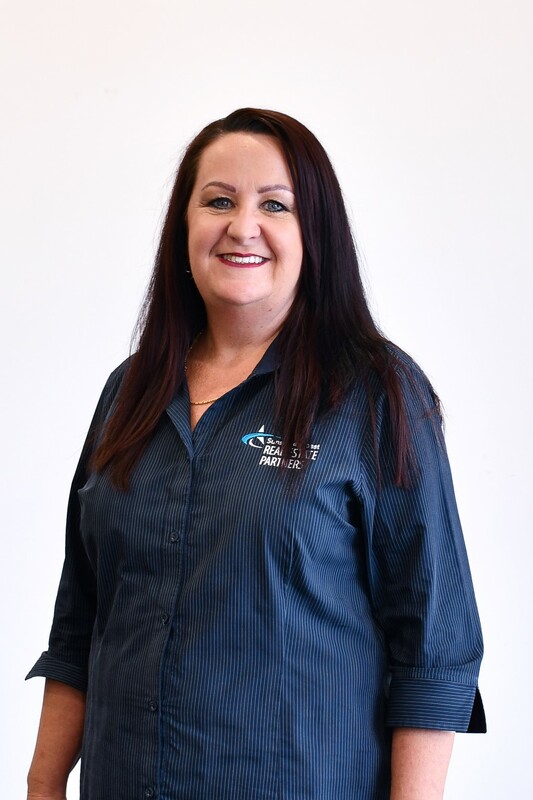 Kate re-entered the full time work force in 1992 initially in the Insurance industry until 1999 then she Owned and operated a Cafe in the heart of Caloundra which she ran 7 days a week for the next 5 years. Since 2004 Kate has worked in Office Admin/Management roles specialising in financial control & profitability of businesses in the Building & Mining sectors before joining SCREPartners (formerly RealWay Caloundra) in 2009. Kate is very proud of the accomplishments of her four adult children and loves spending time with them, their partners & her grandchildren. Kate & Michael love to travel both in Australia & overseas & have a specially affinity with South East Asia. Having struggled financially in the early years, Kate & Michael share a passion to equip people with simple tools for financial stability & freedom which is evidenced by their involvement in CAP (Christians Against Poverty) which helps people take control of their finances using basic budgeting tools. Other interest include cooking and entertaining, spending time with friends, sewing, gardening, reading & keeping fit at the gym.